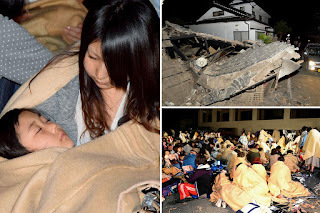 ANOTHER massive earthquake has struck Japan causing giant waves and prompting tsunami fears - BlogIT with OLIVIA!!! JAPAN was issued a tsunami warning after being hit by another massive earthquake, less than a day after deadly tremors killed nine people. 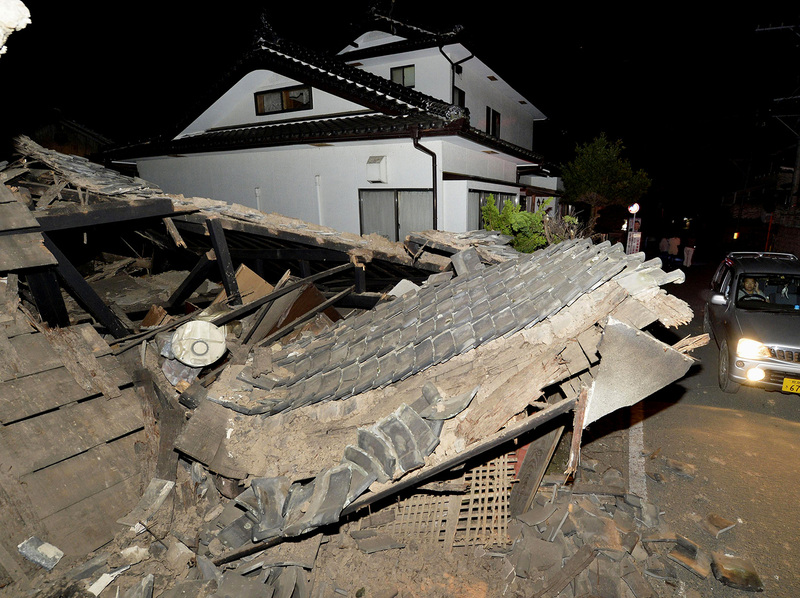 The second quake in 24 hours reach a 7.1 magnitude near the Southern city of Kumamoto. There was confusion over the number of casualties, with some media outlets reporting three people, but no official confirmation of that fact. Local media said a village was evacuated after a dam collapsed. The Japanese Meteorological Agency says there was a "marine threat" after it caused giant, metre high waves. They urged people in coastal areas to leave for their own safety. An hour later they relaxed the threat level. Local media reports of people trapped in buildings and emergency services are evacuating residential areas. Chief Cabinet Secretary Yoshihide Suga said at a press conference that 23 cases of people being buried under structures were reported so far. More than 192,600 homes lost power. 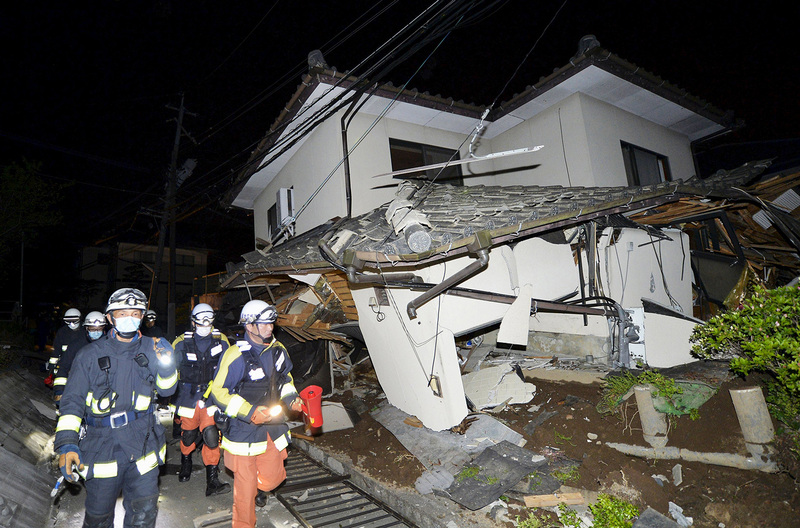 The quake struck at a depth of 40 km (25 miles) at 1.25am local time. The Nuclear Regulation Authority were quick to confirm that no powerstations were damaged. The epicentre was just eight miles from yesterday's earthquake which brought down buildings and injured more than 100 people. More than 100 aftershocks could be felt across the country after the main event, and police said they were hindering the process of the clean up ooperation. Five women and four men were killed.